There have been many memorable moments in the Royal Rumble over the years. Good match. I don’t think it quite captured the competitiveness of Charlotte’s feud with Sasha, but that’s a lot to live up to. Bayley looked good and showed that she deserves to be on the roster with people like Charlotte and Sasha. Even so, Charlotte clearly looked like she was in control for nearly all of this match. This match took a while to get going, and the ending featured some BS, but the middle portion was good. In that way, it can easily be divided into three acts. The first act had Reigns and Owens taking an uneventful tour of the crowd before settling for a little violence and housekeeping at ringside. Owens constructed a Poltergeist-esque stack of chairs on the floor that both guys teased hard before leaving it alone and getting into the ring. After a little in-ring action and a nice spot out to the floor, the match picked up considerably. Act two had Owens in control, but at any moment it seemed like Reigns could take over if he managed to hit one big move. Jericho made his presence felt by dropping some brass knuckles to his best friend, and his help kept Owens on top until another big move to the floor led to act three. Act three was short and was marred by interference which led directly to the finish. The match was going along very well, but in the end that didn’t matter as much as the storyline they’re trying to build with someone else. Still, overall, I thought the match had some good moments. It could have been shorter though. In a commercial for KFC, Enzo wears a white suit, and Cass wants to be introduced to chicken. 30 facts to remember the Rumble, numbers 30-16. Shane McMahon and Daniel Bryan meet up with Stephanie McMahon and Mick Foley at the Rumble tumbler. Sami Zayn picks a number, but before he can open it Dean Ambrose walks up and wants churros. Ambrose opens Zayn’s number. It’s eight. Good match. Swann’s kicks were probably the best part, but the match as a whole was entertaining. Nothing super-spectacular, but solid with some very good spots. The match seemed like it could have gone either way. In a commercial for Vudu, New Day likes movies. They’re setting the bar high in the first month of 2017. This was a great match. They started strong and never let up. There were great extended sequences of holds, moves, counters, and submissions. There were a ton of false finishes. Both guys pulled out moves they don’t often do. After everything that’s happened between these two, this match is a fantastic bookend to their first singles match against each other which is also great. Clips of Seth Rollins hijacking NXT Takeover and calling out Triple H.
30 facts to remember the Rumble, numbers 15-1. #15 – Only 16 entrant numbers have gone on to win the Rumble match. #14 – Seven people have won from entrant spots 1-10. #13 – Four winners have won from entrant spots 11-20. #12 – Nineteen winners came from spots 21-30. #11 – Number 27 has produced the most winners with four (Big John Studd, Yokozuna, Bret Hart, Steve Austin). #10 – Numbers 1 and 2 have produced four winners all together. #9 – Two people have won from entrant number one. #8 – Only one person has won from the same spot twice (Batista at 28). #7 – Kane has entered the most Rumbles (17). #6 – Kane has also eliminated the most people (43). #5 – Roman Reigns has the most eliminations in a single Rumble (12). #4 – In 1992, Ric Flair won the World Title in the Rumble, and so did Triple H in 2016. #3 – Three men have been two-time runners-up (John Cena, Triple H, and Big Show). #2 – Five men have won the Rumble twice (John Cena, Triple H, Hulk Hogan, Shawn Michaels, Batista). #1 – One person has won three Rumbles (Steve Austin). This was a pretty good Rumble, but there weren’t a ton of memorable moments. It was mostly centered on a few guys: Braun Strowman, Brock Lesanar, Goldberg, The Undertaker, and Roman Reigns. Strowman eliminated a bunch of guys which took up about a third of the match, then there was about a third of the match where no one was eliminated and the ring filled up, then the big guys started coming in and taking over. I liked Jericho’s antics throughout the match. It was fun trying to find where he had gone off to and what injury he was playing up. New Day also did a good job of creating some entertaining moments, though they weren’t in there for an extended amount of time together. Kofi’s Rumble moment this year was kind of a miss. I’m not sure exactly what he was going for, but it didn’t come across well. It just looked like it hurt. I’d have been fine if he didn’t try to do anything spectacular and just focused on doing great things with New Day. I’d like to see a tag team dominate a large portion of a Rumble match like the bigger guys always do. As usual, the match was pretty weighted towards the end. I think that’s kind of a necessity, but it makes the order seem a lot less random. I mean, it would be dumb to put Goldberg or Lesnar or someone in the match early because they’d just eliminate a bunch of guys and the match could get boring. They obviously want those guys to seem like they came close to winning, so being in towards the end is necessary. It just feels odd when Lesnar, Goldberg, Undertaker, and Reigns are all stacked at the end of the match. Overall though, this was fine. I wouldn’t have picked the winner, but the person I want to win rarely does anymore. There were certainly worse choices, but it feels like more of the same. Again. This was a pretty good show. There have probably been better Rumble matches, but the undercard was solid (except for some of the stuff in the Universal Title match). I like having at least one or two entrant in the Rumble that are huge surprises, like a legend returning or someone debuting, but that didn’t happen this year (I don’t count NXT or 205 Live guys as big surprises). Still, I was entertained. Rumble has to be pretty terrible for me not to enjoy it. Another great match between Styles and Cena. I think every time they have a match against each other it will be the best of the night. It’s also historical, so that just adds to the match’s value. 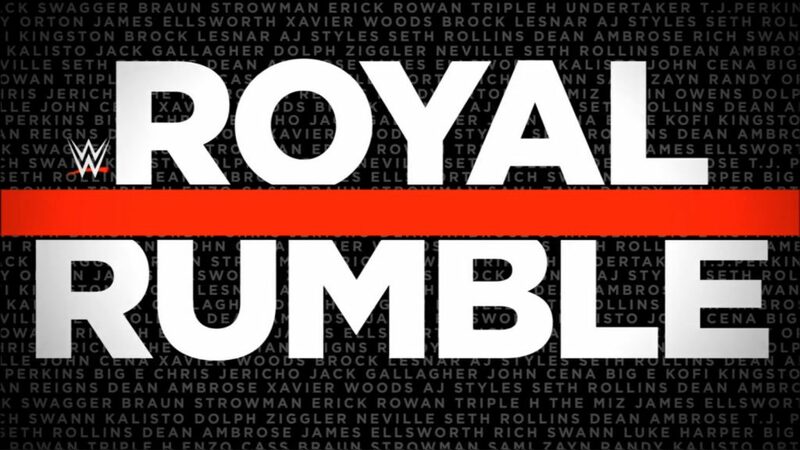 << View Royal Rumble Kickoff Recap & Review.